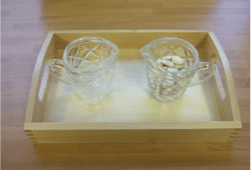 Pouring dried beans between 2 small jugs on a wooden tray. 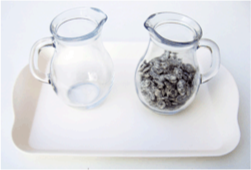 Pouring pumpkin seeds between 2 small glass jugs on a tray. 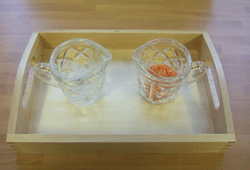 Pouring dried lentils or rice between small jugs on a wooden tray. 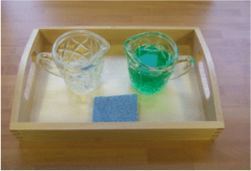 Pouring coloured water between 2 small glass jugs on a tray. 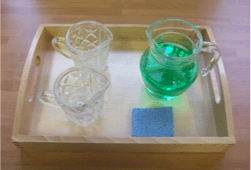 Pouring coloured water between small jugs on a wooden tray. 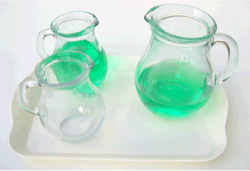 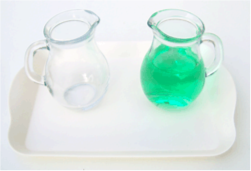 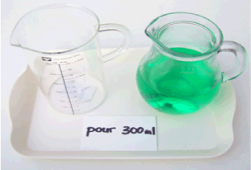 Pouring coloured water between 1 larger glass jug and 2 equal small glass jugs on a tray. 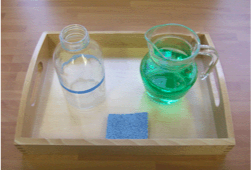 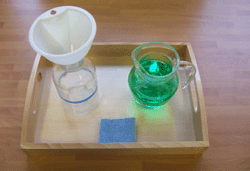 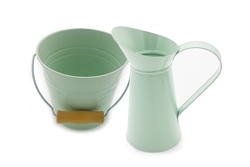 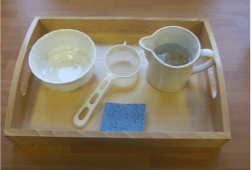 Pouring coloured water between 1 larger jug and 2 equal small jugs on a tray, with sponge for drips.